Founded in Florence in 1967 and composed of Adolfo Natalini, Cristiano Toraldo di Francia, Roberto Magris, Piero Frassinelli, Alessandro Magris and Alessadro Poli (from 1970 to 1972), the group which continued to be active until 1978, carried out theoretic research into design, worked in the field of architecture with exhibitions and constructions, and was active in the field of design with furniture and domestic objects. 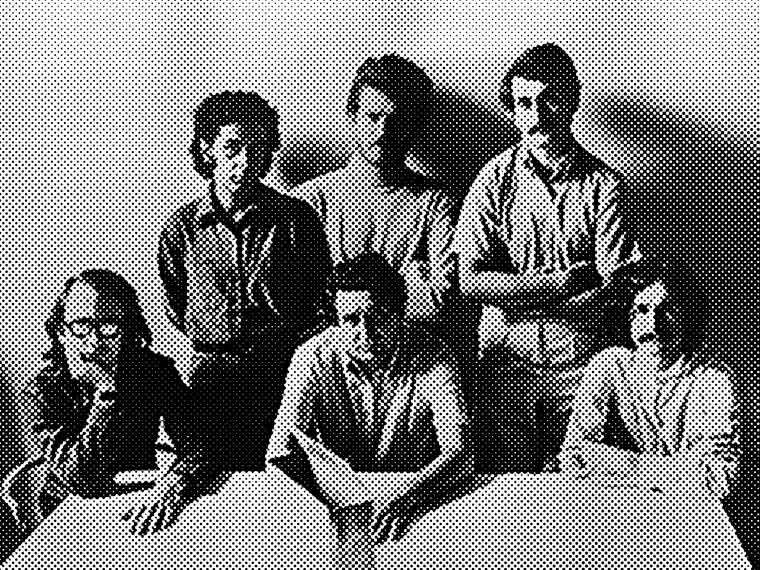 The experimental activity of Superstudio began even before the members had defined themselves as a group and consisted of the participation of Adolfo Natalini in the exhibition Superarchitettura, organised togheter with Branzi, Morozzi, Corretti and Deganello (who would later become Archizoom) in December 1966. In 1970 Superstudio, in collaboration with the 9999 group, managed S-Space, the Scuola Separata per l’Architettura Concettuale Espansa. From 1971 to 1973 the group produce didactic films and utopian projects on “fundamental” acts, seeking a philosophical and anthropological rethinking of architecture. These induce Supersurface, a series of films in the form of brief advertisements that proposed a life free of the objects presented in the 1972 exhibition “Italy: the New Domestic Landscape “ at the MoMA of New york. In 1971, the group’s Monumento Continuo allowed the intuition of the Istogrammi d’Architettura (1969) to take concrete shape; this consisted of a system for the abstract design of “neutral and available entities”,which brought to fulfilment the antidesign approach that had begun with the design of evasion taking a stand against the design of invention. With their Istogrammi, Superstudio took distance from the world of design and proposed instead a “behavioral scheme” to be applied in different areas and on differing scales, just as their “Monumento” had developed an “architectonic model of total urbanisation”in which architecture was used in a metaphorical sense as a means for estreme criticism. The negative utopias of their Dodici Città Ideali (1971), used as “mental reactives” and the teorica expedients in Cinque storie del Superstudio: life, education, cerimony, love and death (1973) espresse a critical-educational approach. Superstudio partecipated in the 15th and 16th Milan Triennale and in 1973 the group was among the founders of Global Tools. Their exhibition “Superstudio: Fragmente aus einem persönlinchen Museum” toured Europe in 1973-74 while the “Sottsass & Superstudio: Miniscapes” exhibition was presented in the United States in 1973-75.